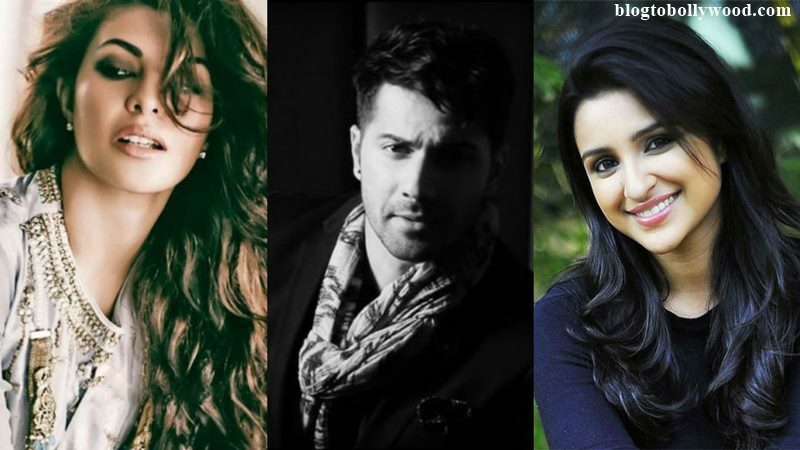 Sajid Nadiadwala wants Jcqueline Fernandez and Parineeti Chopra to be cast in Judwaa 2 opposite Varun Dhawan. Salman Khan, Karishma Kapoor, Rambha’s 1997 movie Judwaa will have a sequel soon. While we already know that Varun Dhawan will play the double role of Salman Khan, we now hear that Jacqueline Fernandez and Parineeti Chopra to be cast in Judwaa 2 opposite him. The makers of the movie have been working on the script for some time now and it is said to be almost ready. The sequel will have the same basic story-line with a few changes. According to a report of DNA, the producer Sajid Nadiadwala is keen on casting Jacqueline Fernandez and Parineeti Chopra in the movie. Jacky will be playing Karisma Kapoor’s role while Parineeti will portray Rambha’s role. We are waiting for an official announcement now.